Hopefully I find letters later in the alphabet that let me touch on just one topic, but it won’t be “B” cause there are just too many of them. And when it comes to seeing places like this, you really can’t go wrong! St. Louis is home to the Missouri Botanical Garden — locally it gets shortened to botanic garden a lot but the views here are huge! The Japanese Garden grabs my attention quickly, but then the Victorian Garden gets me too. There are so many incredible events held at the botanic garden too — including this spring’s tulip trot, Chinese cultural days and Grapes and the Garden for a great wine event. And the children’s garden just opened the end of March! A couple of fellow bloggers have posts that will show you a bit more of the garden too! And what they show is it suits everyone! Check out this one by Erika Sevigny about a group of adults sharing a Sunday at the botanical garden & grabbing a bite in the Central West End. And Denise Bertacchi talks about taking her kids to the Missouri Botanical Garden. Although The Butterfly House is listed here separately, it is operated by the Missouri Botanical Garden but it is separate because it is at a different location just west of town. 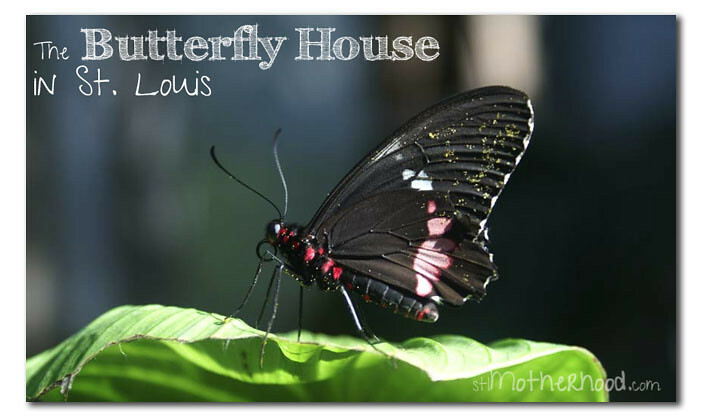 My fellow bloggers Adam Sommer also suggested the St. Louis Butterfly House is a must see too — and points out there is a playground nearby that is great too. His photos will make you really want to get going on a nice day. Denise also has the Butterfly House is her “Do the Lou” series. One of the restaurants that stood out for me before I even moved to St. Louis, was The Boathouse at Forrest Park. It is the perfect place to get lunch on a pretty day. There are indoor tables but I always opt for the wait for one outside, preferably next to the water! Kids enjoy feeding the ducks and all, so you can enjoy a nice long lunch with kids too! And while I am sold on it for the atmosphere & sense of place, but the food is also awesome (my faves are the basil hummus as a starter and the salmon BLT for lunch but I’ve never had a bad meal there). Oh and if there is a long wait, you can enjoy a paddleboat ride around the lake! 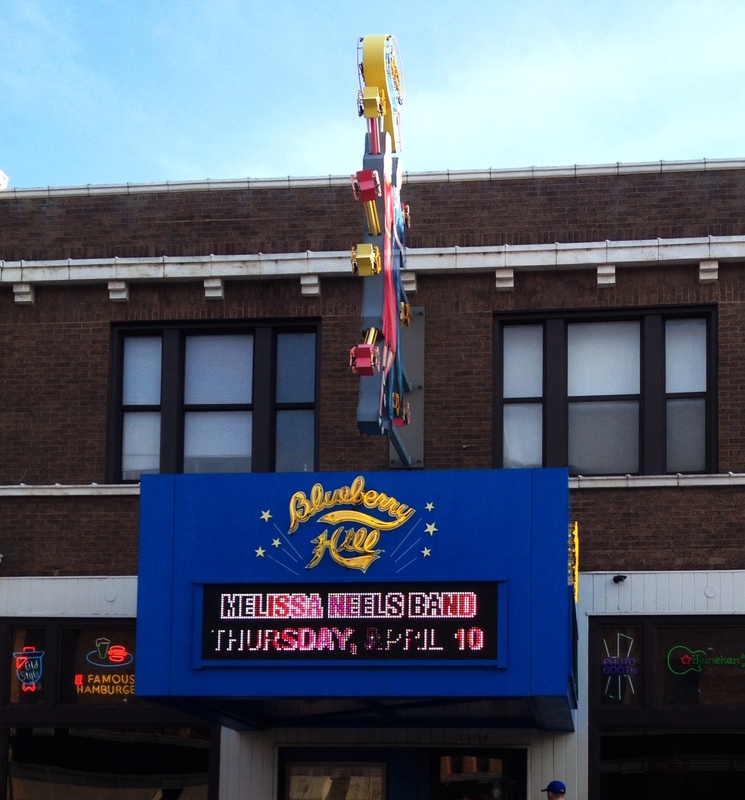 I have to tell you, Blueberry Hill is among the places I take most of my out of town visitors. It’s nearby in UCity but it is also something that draws people from miles around. I’m just lucky it is close! 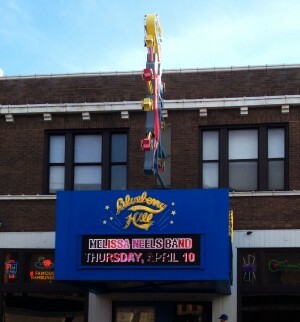 So what is Blueberry Hill? It is a restaurant that offers yummy food in a place where pop culture envelops you! You could be sitting alongside Pac Man or Pee Wee Herman collectibles. Everyone I’ve ever taken there has enjoyed it! And it is a great venue for small concerts too. Have it on my list to catch a few more shows there cause I enjoyed the one I saw! 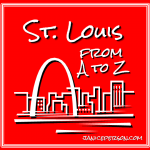 I’ll be putting up a post everyday (except Sundays) in April for my A to Z series about St. Louis. If you have a suggestion, add it to the comments section below. Read the other posts in the St. Louis A to Z or check out last year’s post for B in my A to Z of Agriculture. It was the B is for Borlaug post. And you can browse a list of almost 2,000 bloggers doing their own A to Z Challenge. Thanks for the mention! Glad I found your site…looking forward to following along!